When a roof is being repaired and scaffolding is up it makes sense to consider repairing or replacing the guttering as well. Traditionally cast iron was used for gutters and downpipes but uPVC is most popular now due to the cost and reduced maintenance. As an example, uPVC guttering is around £2 per metre whilst cast iron guttering can be £20+ per metre. Cast iron is sold in 6ft (1.83m) lengths as anything longer would be too heavy to handle, whereas uPVC is available in 4m lengths. Cast iron can look highly attractive but it needs painting periodically to ensure that it does not corrode. Aluminium and steel guttering tends to be used for commercial rather than domestic buildings. Exact dimensions vary by manufacturer so when replacing part of the gutter it is always best to replace like with like to avoid leaks. 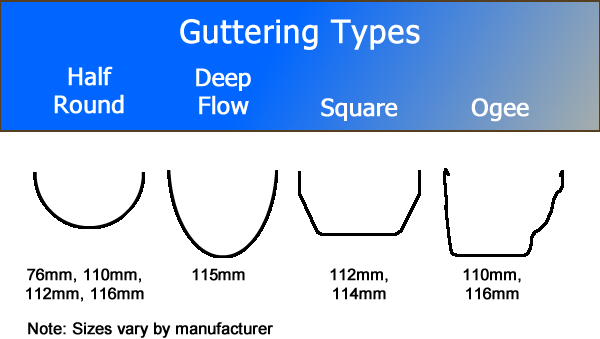 Where guttering is shared, eg on terraced houses, then mixing different types or materials can cause problems. Adaptors are available for some types and some materials eg to join square uPVC to half round cast iron. Depending on the size of roof and the rainfall intensity in the local area you might choose a higher capacity guttering or increase the number of downpipes. A ladder is usually used for replacing guttering although if scaffolding is already in position it can reduce the time taken to remove the existing guttering and replace with new, particularly when heavy cast iron guttering is being replaced. See Safe Working On A Roof for guidance on safe working at height. Where ladder access is not possible, such as where a full width conservatory has been added to the rear of a terraced house, then scaffolding may be required which will add to the cost. Bridging a conservatory with scaffolding can cost in the region of £400-£500. It may be possible to gain ladder access by removing the glass roof of the conservatory but this does need expert skills. 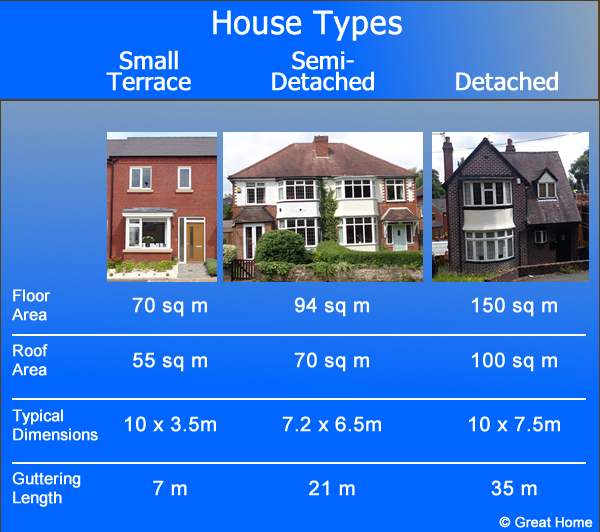 There are many different designs of house but the table above shows some of the basic house types and their sizes (note for roof area and guttering length the average bungalow will be around the same as a detached house). In simple terms it is going to cost 3-4 times as much to replace guttering on a detached house compared to a small terraced house. Terraced house: around £250-£270 to replace 7m of uPVC guttering (front and back) and 1 downpipe with adaptors to fit into rest of terrace. Semi-detached house: around £520 to replace 21m of uPVC guttering and 2 downpipes. Note: removing cast iron guttering is a two man job as the weight of each section can be upwards of 10kg. Terraced house: around £925 to replace 7m of cast iron guttering (front and back) and 1 downpipe with adaptors to fit into rest of terrace. Semi-detached house: around £2,000 to replace 21m of cast iron guttering and 2 downpipes. 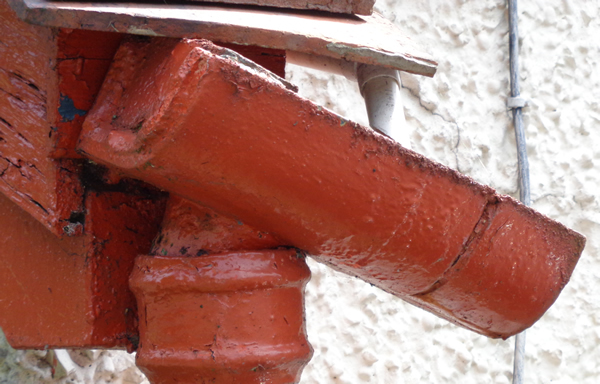 Note: It may be better to get parts of the cast iron downpipe replaced and the rest refurbished and repainted. A specialist firm will be able to give a more accurate quote. Costs of aluminium and steel guttering will be lower than for cast iron but prices will vary according to the finish required. These are generally used on commercial buildings. Damaged guttering spoils the look of your home and makes a mess every time it rains. Replacing old or rusty guttering is an affordable way to keep your home looking good. It’s really a nice and helpful piece of info. I’m happy that you shared this helpful information with us. a) Would scaffolding be required? b) Any suggestions whom I can get a quote from? 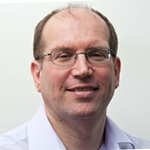 Property is in Enfield (EN1), middlesex. This is unrealistic to do in most situations involving cast iron guttering not least because of the weight involved. Generally a movable tower would be used. See the article on safe working on a roof for more details. I don’t have any details of someone local to you that I could recommend for guttering. All I can suggest is the same general guidance we give on selecting roofing companies which is that personal recommendations from family and friends living locally is a good starting point. See more about choosing a roofing company. Good luck with your gutter replacement.